There’s really nowhere like Vegas. More than just a town which never sleeps, it’s a town which never wants to stop having fun. 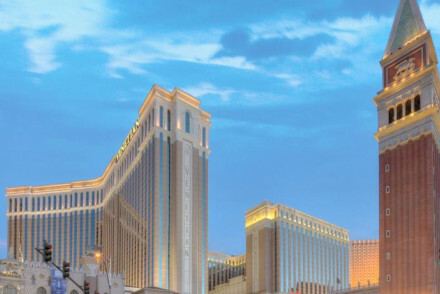 You’ll see some of the most memorable Vegas sights at 3am, when the Elvis impersonators and show girls come out to play too, but you will need to get your head down at some point and the best places to stay in Las Vegas will play a huge part in shaping your Vegas experience. Most of the best places to stay in Vegas don’t just have their own bars and restaurants, spas and pools, they also have their own casinos and theatres, fitness centres and Vegas-tastic gimmicks. Vegas’ hotels offer bars made of ice, gondola rides, ancient Roman toga parties, 24-hour circuses, fairground rides, a replica Eiffel Tower and even a replica erupting volcano. And of course, the famous opportunity to be married by an Elvis impersonator at any time of the day or night that takes your fancy. In fact in Vegas you can pretty much do whatever you want whenever you want - despite the surfeit of everything there’s a dearth of clocks so you never really know what time it is. The drinks keep coming, the buffet never closes and the dice keep rolling. One of the fascinating things about Vegas is the fine line it treads between self-confidence and self-deprecation. In the heart of town you’ll find the classic hotels which started the whole neon-lit wheel turning, along with vintage shops and cocktail bars and museums celebrating Vegas itself. Then there are the vast gift and souvenir shops proudly purveying tat en masse. When the lights get too bright and you need a break, the dramatic natural beauty of the Mojave Desert is just outside town. Including the gems of Red Rock Canyon and the Valley of Fire. One of man’s great triumphs, the Hoover Dam is less than an hour away and the Grand Canyon is about a five hour drive from a hotel in the centre of Vegas. Go hiking through the 13-mile Red Rock Canyon National Conservation Area, home to a number of colourful rock formations. Eclipsing both the London Eye and the Singapore Flyer, Vegas's 550-foot tall High Roller is a spectacular way to take in views of the whole city. They've even got a 'Happy Half Hour' option which includes an open bar in your cabin! The Bellagio's Conservatory & Botanical Gardens is a lovely place to wander through. Or, if you're more into your museums then check out the Mob Museum, the Pinball Hall of Fame, the Shelby American Museum or the Neon Museum. Whilst most of the best places to stay in Las Vegas tend to be the enormous resort hotels along the strip, we've tried to include a selection that will have something for everyone. 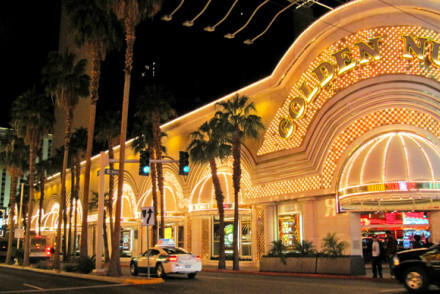 The Golden Nugget hotel and casino is a Vegas icon right in the heart of town. There are around 2,500 rooms and suites, ranging from the very affordable - around £50 per night - to the very grandiose. There’s also a number of restaurants and bars, as well as state-of-the-art spa and one of the world’s more impressive swimming pools. The Venetian is another Vegas classic, with four thousand rooms, some gondoliers and replica 15th Century frescos. There are also marble bathrooms, a huge spa, a five acre pool deck and 19 restaurants. Vegas-tastic. 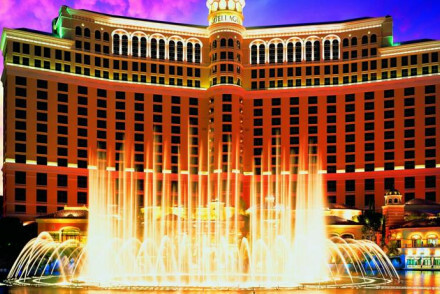 Then there’s the Bellagio of the famous fountains, with resident entertainment Cirque du Soleil and numerous restaurants. There are also four thousand rooms. 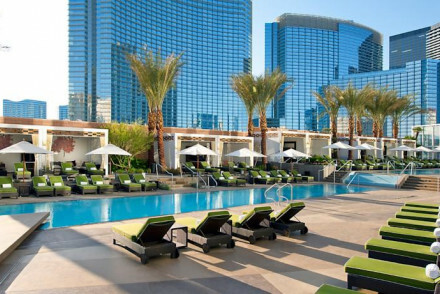 The Mandarin Oriental Las Vegas is a 400-room hotel with sleek, Asian inspired glamour, enormous windows overlooking the city, a roof terrace with a pool and a creative restaurant. 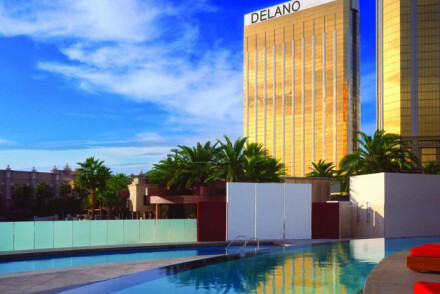 The Delano Las Vegas is the golden tower at the Paradise end of the Strip. 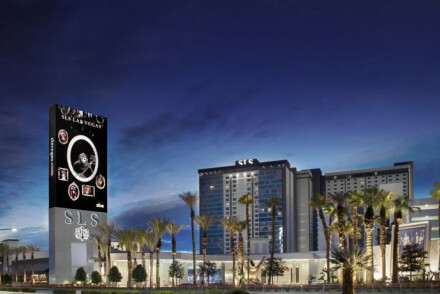 It’s has a thousand luxurious suites a bar with panoramic views and Vegas-opulence decor. The Palazzo has everything in spades. 16 restaurants, seven pools, 50 boutiques, a casino, nightclub, a spa and fitness centre. And you’re slap bang in the middle of The Strip. 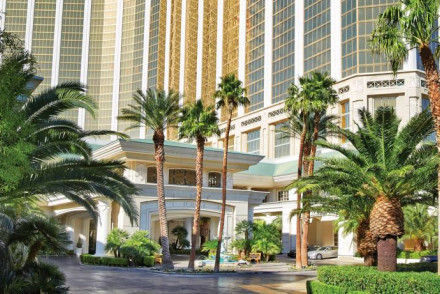 The Four Seasons Las Vegas is a comparatively small hotel by Vegas standards with just 424 rooms. It has all the Vegas essentials, like a spa, pool, gym, floor to ceiling windows, marble bathrooms and a restaurant which runs cooking classes with celebrity chefs. Like the Golden Nugget, the SLS Las Vegas is a vast hotel with a vast range of room types, with the simpler options starting from less than £100 per night. There are also three different design aesthetics - minimalist, French romantic and urbane comfort - numerous bars, pools, restaurants and two clubs, a spa and a fitness centre. 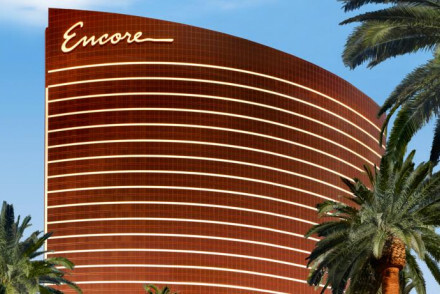 The Encore at Wynn is another similar hotel, also right in the heart of things, and with floor to ceiling windows looking out on the lights of this town which never sleeps. 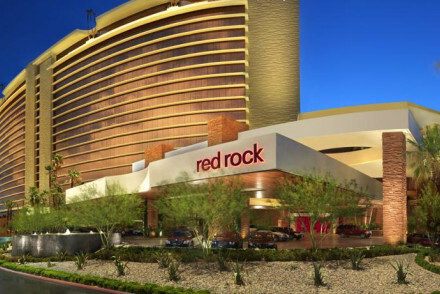 The Red Rock Casino Resort & Spa is away from the craziness of the strip with views over Red Rock Canyon. There’s something here to suit all tastes from rustic to deluxe, and the collection of restaurants, pools, spas, bars etc. to go with them. Las Vegas is obviously nicest weather-wise in the summer months, with the average daily temperature rising to 34°C in July. This however is peak tourist season, so for a slightly quieter alternative consider coming in May, September or October. Visitors can fly into McCarran International Airport, located 5 miles south of the city centre. From here, there are public transport links to the city centre. Browse through our list of all the best places to stay in Las Vegas. Expand your search to include the whole of Nevada. An iconic hotel and casino in downtown Las Vegas. Contemporary rooms and suites, some with private hot tubs and balconies. State of the art spa, many restaurants and bars to choose from, and a swimming pool voted one of the best in the world. Casino - The hotel is twinned with a casino. Spa - State of the art spa. A bombastic luxury hotel on the Las Vegas Strip. Three design aesthetics have been applied in interiors: old French romance in the Lux tower; minimalist sleek style in the Story tower; and urbane comfort in the World tower. Outdoor pool, bars and restaurants, two clubs, fitness centre, spa, casino. From rustic Americana to sophisticated deluxe, the Red Rock Casino's rooms offers a sense of balance that is sometimes hard to find in the fanstasmagoria of Las Vegas. The casino has everything you could want, and a wide offering of cuisines caters for all tastes. Outdoor pool, gym, spa and salon. Views - Views of the Red Rock canyon from some rooms and of Las Vegas from others. Swimming Pool - Outdoor pool, beach area with cabanas. A fabulous extension of the original Wynn resort. Equally luxurious and sophisticated. The rooms are chic and stylish with floor-ceiling windows affording spectacular views of the city that never sleeps. Glamorous nightclubs, exceptional restaurants, boutique shops, spas, magnificent pools. Heart of Vegas this smaller (comparatively) five story hotel has a spa, pool, gym and spectacular views of both mountains and the strip. The plush rooms have floor-to-ceiling windows and marble bathrooms. Choices are Italian at Veranda, PRESS for cocktails and Charlie Palmer's steak. Cooking classes - Cooking with the stars - celebrity chefs welcome people to learn from them at the Four Seasons. The city of Venice in the middle of the Nevada Desert. From gondolier to decor, statue to 15th Century fresco - it is an impressive replica. Marble runs into the bathrooms, comfort is the key here. Canyon Ranch Spa mirrors this luxury. With 19 restaurants, a nightclub, casino and a 5-acre pool deck. Kayaking - The Venetian Style: Take a gondolier down the Grand Canal. Sights nearby - Madame Tussauds to meet the stars. 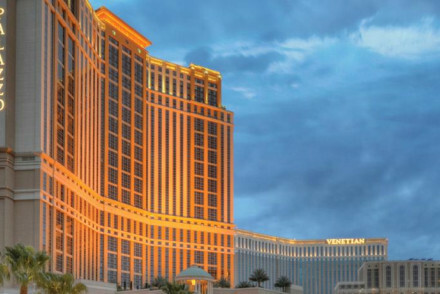 Famously behind the Bellagio Fountains, this luxury casino hotel shows "O" from Cirque de Soleil. Rooms are richly decorated and luxuriously spacious. With a handful of restaurants offering from Japanese tapas to al Fresco dining overlooking the fountains. Spa, casino, nightclub all on sight. Sights nearby - Take a stroll along The Strip and see all the sights. Stylish, high-calibre hotel with 47 storeys, located on the Las Vegas Strip. Every fibre of the impeccable interiors exude glamour and quality, with sleek decor and an Asian influence. Enormous windows give views over the city. Creative cuisine, outdoor pool, full-service spa, 23rd-floor modern bar. Sights nearby - Being on "The Strip" all of Las Vegas' bright lights are close by. The pinnacle of Las Vegas opulence: an eye-catching golden tower with over 1000 luxury suites, overlooking the infamous Las Vegas strip. Pool, 'beachside' casino, gym, spa, sauna. Restaurants serve Mediterranean and classic US cuisine; bars offer panoramic views. Interiors are sleek and modern. On 'The Strip' luxurious, lively hotel offers it all. Rooms and bathrooms are spacious with all the mod-cons. Boasting 16 restaurants and bars, 7 pools, 50 boutique shops, casino, nightclub, a spa and fitness centre - there isn't a need to leave. Location offers perfect spot to see the desert city. Sights nearby - Big Shot is the highest amuseument ride in the world. Landmark - On the notorious 4 miles known as 'The Strip'.